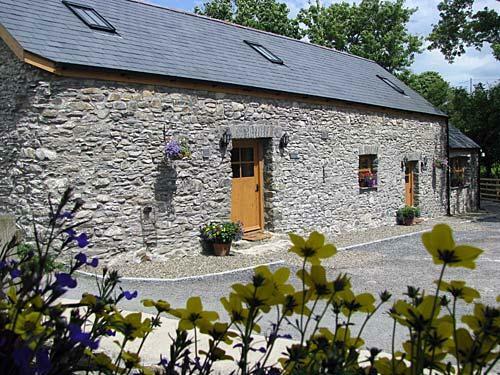 Briallen Cottage (Primrose) is one of two recently converted stone cottages completely renovated to a very high standard for a comfortable and relaxing holiday. It is in a quiet location on a 7 acre rural smallholding approximately miles from the beach at Llanrhystud and within 1 mile from local shops, post office, garage, pub and 18 hole golf course / driving range. The cottage comfortably sleeps two with one upstairs king size galleried bedroom. A travel cot is available on request. The ground floor area comprises an open plan dining / kitchen area leading to lounge with original character stone wall exposed and oak furnishings. 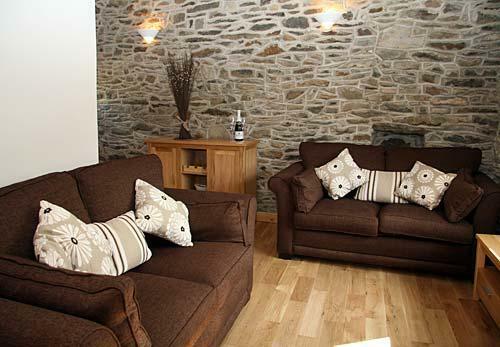 The lounge is furnished with two comfortable two seater sofas and equipped with freeview TV, DVD player and hifi. Downstairs shower room. The kitchen has an electric oven and hob, fridge freezer, microwave, dishwasher and automatic washing machine. The dining area has seating for four, and a high chair is available on request. 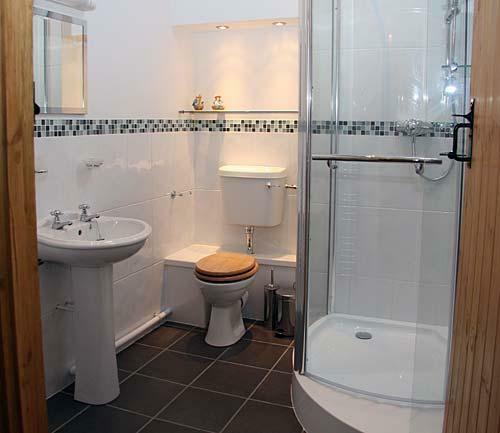 The bathroom (downstairs) provides spacious power shower unit, toilet and wash hand basin with heated towel rail. Stairs from the dining area lead to the upstairs kingsize galleried bedroom. A rear stable door leads from the lounge to an outside enclosed patio and garden area with garden furniture, barbecue and clothes line. 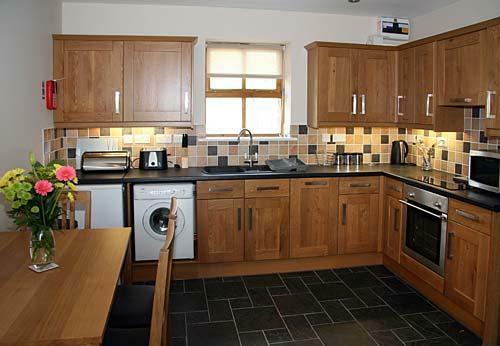 The cottage has full oil central heating and all fuel for heating and cooking is included in the price. Bed linen is provided but towels are available at extra cost on request. Sorry, we cannot accommodate pets and, smoking is not allowed inside the cottage. There is ample off road parking for two vehicles.